Are you ready to jazz up your room’s window coverings with something unique? Hunter Douglas is on the cusp with their latest spring look, Designer Banded Shades. These shades are crafted by combining alternating sheer and solid bands in a single shade. Since they are not manufactured, the woven style means that no two shade designs will look the same. Now, how do banded shades work? Banded shades are made by looping a piece of fabric, which can range from sheer to opaque, over a set of blinds and connecting them at the bottom. This allows for light diffusion, so you can control how much light actually enters a room. Tip: banded shades are ideal for rooms that have varying amounts of light coming through the windows during the day. Shift the solid bands to overlap, and you ensure privacy. Align the solid bands, and you get natural, diffused light. With each adjustment, you create your precise level of sun and privacy. And, of course, the shades completely raise or lower via your choice of innovative operating system. More on that below. Technology in the window fashions industry has transformed the homeowner’s experience. As with most other window coverings and window treatments, there are different operating systems available for you to choose from. The UltraGlide® operating system features a retractable wand to raise and lower your window treatments, which means there are never any long, dangling cords to detract from the appearance of the shade and it promotes child safety. A continuous loop works on the principle of a pulley, rotating a clutch to open or close the shade. If you have more questions about your current window shades operating system or want to learn more about these systems, just let us know during your consultation and we will be able to provide you with more information. Don’t fret, if you have specialty shaped windows, designer banded shades are still an available style for your home. We are often asked about the following types of specialty shaped windows and can offer solutions for them upon request. Bay and Corner Windows – Window treatments for bay windows, corner windows and bow windows are usually standard rectangular window-treatment installations. Panels are independent of one another. Patio and Sliding-Glass Doors – Virtually any Hunter Douglas window treatment can be outfitted for a traditional patio or sliding-glass door, but some are better suited to these and other large expanses of windows simply because they traverse horizontally. French Doors – Window treatments for French doors are typically mounted outside of the opening (beyond the window frame), may require extension brackets or spacer blocks for proper clearance, and typically require a ‘cut-out’ to clear the French door handle or knob. As we look ahead to color trends for 2018, one thing is certain: Soft hues are out. While the palette in design over the past few years has been dominated by soft pinks (Millennial Pink, coral) and varying shades of cozy neutrals (soft grays, ivory), we’re about to see brighter and bolder warm hues take over. Color leaders like Benjamin Moore and Pantone have declared Caliente (a saturated red) and Ultraviolet (a brilliant purple) their respective colors of the year. Fashion embraced these hues as they made a splash across runways this past fall. And similarly, many interior designers have expressed their anticipation for a resurgence of strong colors in interiors, where neutrals recede into the background and serve as complementary accents to these rich hues. At Hunter Douglas, we’re just as ready to see these colors make a vibrant comeback in homes. Our premier window treatment lines offer customers a variety of choices to choose from in these trending bold colors, sure to fit any home style or décor. Read on to see a few ways we’re expecting to see rich red and dazzling purple applied to interiors this year. 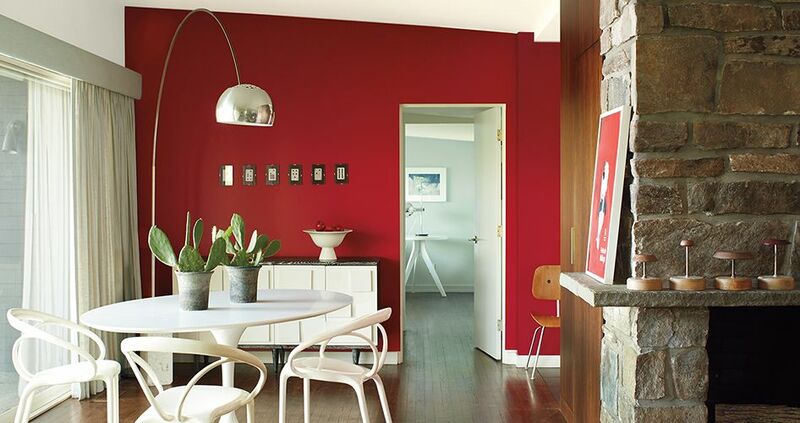 Even as an accent-wall color, Benjamin Moore’s Caliente red captivates the eye and emboldens a space. If you’re not one for bright and bold wall colors, this bright red packs just as much of a punch in accents such as art and accessories. 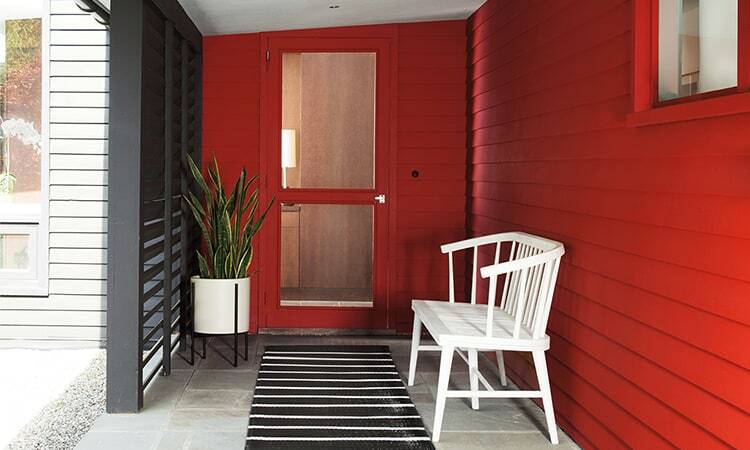 We’re also expecting to see the fiery red extend to furnishings as well as the outdoors. Whether it’s a statement sofa or a set of tableware, vases, and pillows, designs large and small colored in the bright hue are sure to easily enliven a space in the home—no matter your style. Pantone’s Ultraviolet has jewel-tone qualities to it, perfect for furnishings, as they are guaranteed to become a focal point in a room. Try looking for upholstery and fabrics in the deep violet shade as a way to dial up a refined and glamorous look in a space. 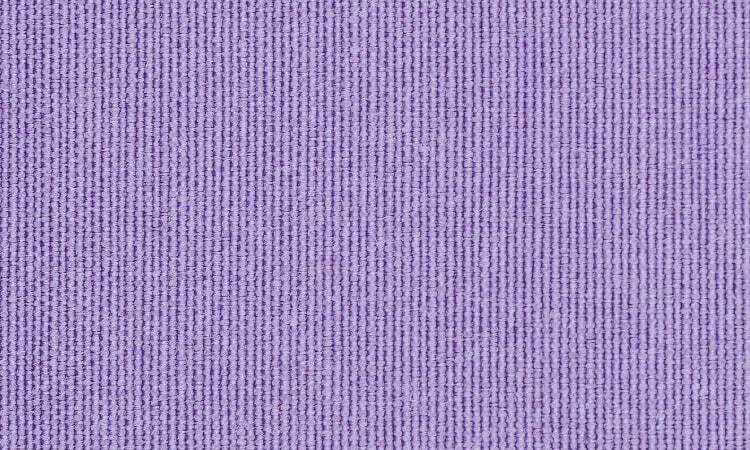 We’re also seeing the regal violet hue make its way into fabrics as well as tableware. The beauty of the color is that it’s surprisingly versatile—it can punch up a glam tablescape, add a global air to a room, or simply serve as a modern counterpoint in a traditional space. In December 2004, Cyndi Roberts founded Blinded by Delight Window Coverings & Design as a shop at home service. Due to the tremendous response and growing clientele, we officially opened our Hunter Douglas gallery in 2013. The primary goal at Blinded by Delight is to educate our clients on the various options. There are many products and vendors with all different price points. The finished product is our client’s choice based on what is most important to them: be it price point, versatility, or uniqueness for their home.Whether you are looking to spruce up your living space, update your home decor with contemporary window treatments or simply modernize your blinds and shades we have excellent specialists that will assist you in finding the best selection for the vision you have in mind for your custom window coverings.Schedule an appointment today. It’s free, there’s no obligation. Come to our gallery to see all the options on display. Our Hunter Douglas Showroom is one of the best in the region! We ask that you bring your basic measurements of the custom window coverings you are interested in installing, as well as photographs when possible. Once you are ready, we will schedule an in-home appointment where we will take detailed measurements in order to finalize your project. Simply click on Schedule An Appointment or call 210-336-5266. Our hours are Monday through Friday, 9:00am to 5:00pm, and Saturday, 10:00am to 4:00pm. Blinded by Delight, LLC, located at 140 Heimer Rd, Suite 685 in San Antonio, Texas, invites the community to their Hunter Douglas Gallery opening ceremonies on Thursday, February 16, 2017. The owner and a Hunter Douglas representative will conduct a ribbon cutting ceremony at 5:30 pm followed by a grand reopening/ open house to celebrate the expansion of their showroom. The celebration will continue on Friday, February 17, 2017 from 9:30 am to 7 pm and also on Saturday, February 18, 2017 from 10 am to 3 pm. This free event is being used to introduce the newest Hunter Douglas Gallery to San Antonio and surrounding areas. We have over 100 operable displays in house with many vendors for all types of window coverings such as shutters, soft shades, wood and faux blinds, drapery, bedding and upholstery. The celebration will include snacks, drinks, great prizes and giveaways. Blinded by Delight is one of only two Hunter Douglas Gallery locations in San Antonio. With over 13 years of experience in the industry by the owner and 4 years at their current location, Blinded by Delight’s customer service specialists bring to their clients a wide variety of experience and innovation as attested to by the highest ratings in Angie’s list, HOUZZ and customer testimonial letters.